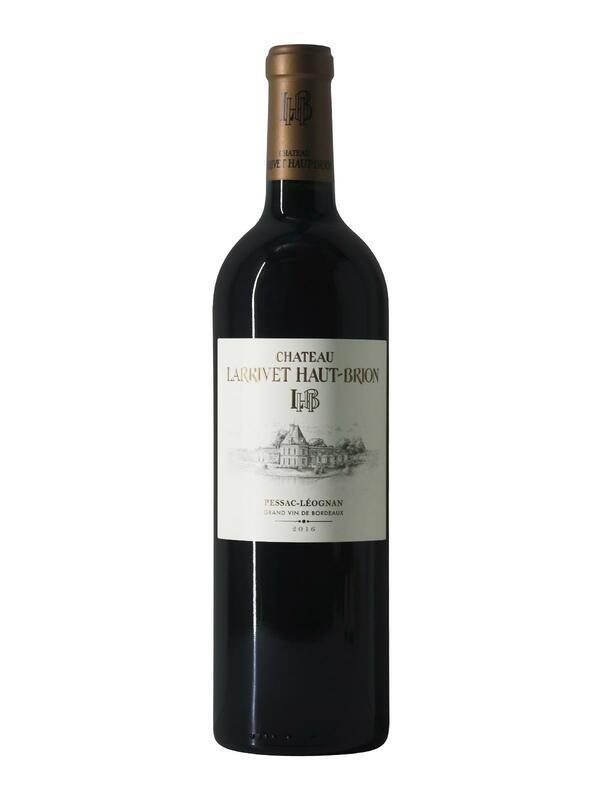 Château Larrivet Haut Brion 2016 is a blend of three traditional varieties from the Pessac Léognan appellation: Cabernet Franc, Cabernet Sauvignon and Merlot. The annual grape harvests are followed by vinification in thermo-regulated vats, followed by 18 months maturing in oak barrels (half are new). Château Larrivet Haut Brion 2016 exhibits an ample bouquet of red fruits, with cherries, strawberries and other fruits of the woods, covered with smoke and blond tobacco scents. On the palate, Larrivet Haut Brion's 2016 vintage is mid-bodied, tinged with firm tannins. The woody aromas cover the black and red fruits, revealing toasted and roasted notes to finish off on a long, greedy finish. Château Larrivet Haut Brion 2016 has great potential. The few months that it will pass before bottling will undoubtedly reveal it!